For cushion comfort, it is hard to beat a crepe sole child's cowboy boot. 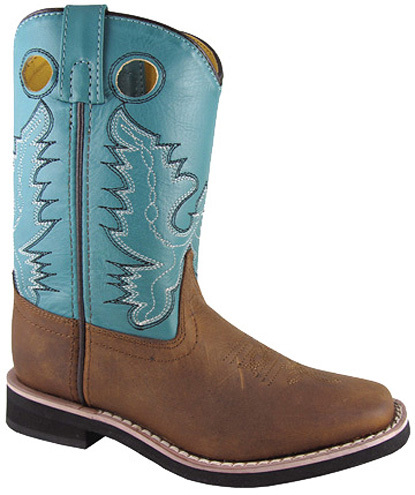 Popular as either a cowgirl boot or child's cowboy boot. And Crazy Horse leather has been in fashion for over two decades. Just apply some mink oil, or Snow Seal to protect them from the elements, (and maybe the kids). Unisex "Pueblo Boot"